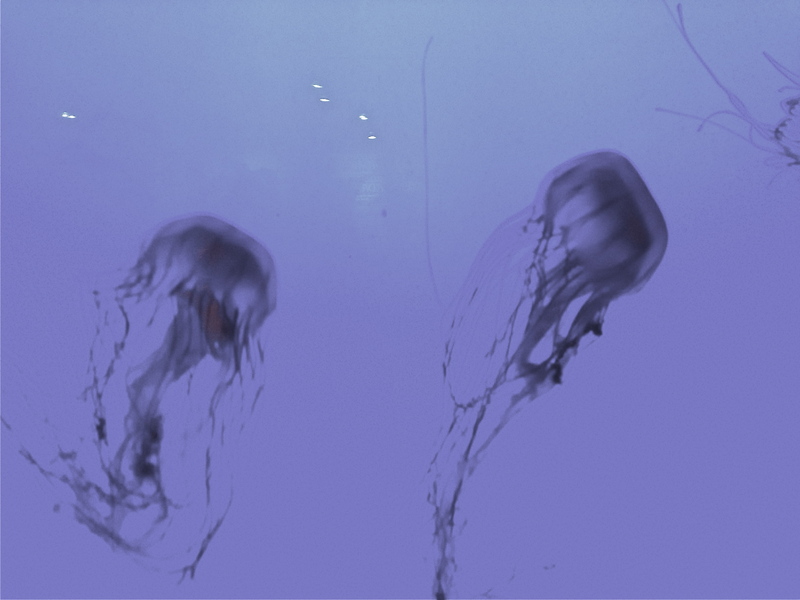 Did you know that jellyfish are known as the “middle-aged women looking for somewhere to sit down and eat this cannoli” of the sea? Fine. So I didn’t write a post today. So I went to the aquarium instead. 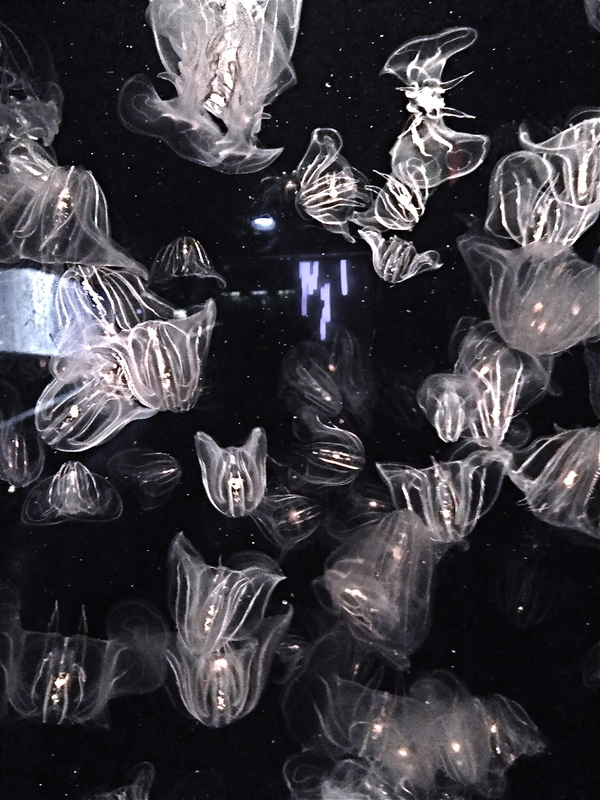 Here are some jellyfish. You’re welcome. This is day 3 of the “Race to Cure Crankiness” post-a-day challenge. I have earned $2.35 toward a facelift & bottle of whiskey. 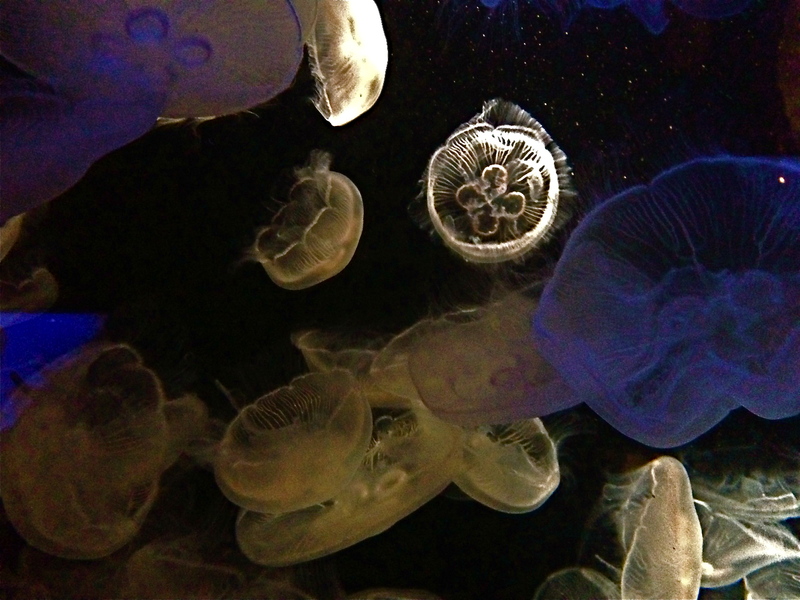 This entry was posted in post-a-day challenge, short stuff and tagged boston aquarium, jellyfish. ← Answers to Monday’s Puzzler!